Of space and time, of here and there. What is this magic of location? The wonder of anything happening at all? Living the dream, Dreaming our life. When I wrote these lines, five years ago, I was on my way from New York to Tokyo, during a fourteen hour flight, in that modern anonymous space in between cultures and countries. I had made that flight at least thirty times in either direction, either in connection with my ongoing astronomy collaborations in Tokyo, or to meet with other Japanese scholars, in philosophy, psychology, comparative religion, and other fields. Yet I always enjoy this no-longer-here, not-yet-there of a long flight, a bit like the space in between breathing in and breathing out, in which the normal flow of events is stilled — leaving room for unexpected openings, orthogonal to the stream of events of daily life. It was the last day of Obon, the Japanese memorial period in the middle of August, when the spirits of the ancestors come to visit their living relatives for a few days. On this last day, the spirits are guided back to their own realm, sometimes in moving ceremonies such as in Kyoto’s Daimonji, where huge bonfires spelling out written characters are lit on the mountains surrounding the city. Like lights lining a landing strip, these bonfires are pointing the way home for the spirits. The last group of fires to be lit, to the West of the city, takes the shape of a gate, as an entrance to the other world. The next few days, I would stay in the tiny village of Mure Mura, near Nagano, for an informal workshop with three Japanese philosophers, Yoko Arisaka, Nobuo Kazashi and Shin’ya Noe. We would stay in an old summer villa in the woods, to talk about our views of connections between science and religion and philosophy. In preparation for those discussions, I asked myself how I could express my most deeply felt beliefs about the world, about life and death, about reality in all its forms. In other settings, I would have tailored my answer to the specific cultural context, and the specific expectations of the audience. I could have started from my scientific understanding of the world, or from my philosophical views, or from my expectations for intercultural dialogues. But in the setting of a walk in the woods with three friends, all of us eager to open ourselves to a heart-felt form of inquiry, there was no excuse to hide behind constructs. I feel that I am finally beginning to learn to trust and respect Being enough to allow it to shine through my conscious awareness. A Shamanism of the simplest sort: its totems or talismans or sacred objects or tools being space, time, knowledge, and Being. Letting thinking do the thinking, letting seeing do the seeing, etc. In general, let happening do the happening, let arising arise, let appearance do the appearing. A transformation already. I first thought about sitting back for five minutes of a free sort of meditation. But then I thought to myself: why not stay at the keyboard here, using thoughts, staying in my scholar habitat? As soon as I thought that, looking ahead, I already felt a change, a transformation. How to describe it, while staying with it? Perception more thin, more sharp, as if everything is drawn with sharp pencil lines. Also a sense of depth, as if people and things that are twenty feet away seem at once much further and distant and at the same time almost within hand reach. A feeling as if I am a hollow tube or flute, with Being flowing through me, both in and as me, and me letting myself be guided by the dance. There were other things I jotted down, more specifically related to the type of meditative practices I was engaged in, connected with Tibetan Buddhist and Daoist suggestions; including those here would require too much explanation and background. However, I hope that I am conveying at least a whiff of my sense of a ‘way of knowing’ that I felt very keenly, then as well as now. 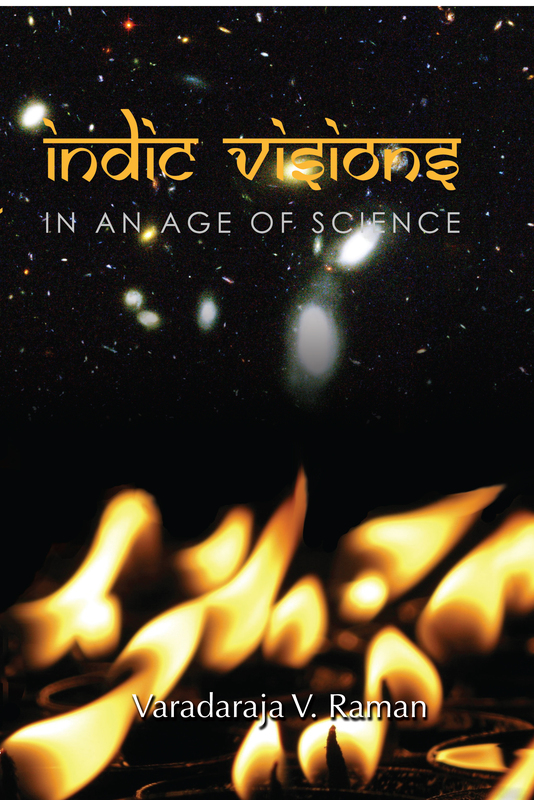 So far, this has been a rather personal way to introduce my main topic: Science and Religion as Ways of Knowing. And this presentation is an experiment; I have never before allowed myself to use such a personal tone in a formal conference, for which the proceedings are open to anyone to read. As with every experiment, I am very curious to see the result. Some may view my introduction as irrelevant, since it is neither scientific, nor religious in the strict sense of the word. It is not scientific, in that I do not try to step out of the picture. Nor does it fit clearly within the fold of any one particular religion. Still, I hope that you will appreciate the phenomenological nature of my attempt to help set the scene for a possible dialogue between science and religion. Phenomenology, the description of the phenomena under study, plays an important role in almost any way of knowing. Ideally, phenomenology should be independent of theoretical prejudices, but in practice such an ideal is impossible to realize. Rather, we can start to describe what we see happening, aware of our own role in the description. We can then scrutinize that role, to see in how far we can outgrow our own prejudices, by noting them and testing them to see to what extent they are appropriate. Normally, we are immersed in both theory and experiment: we live in our ideas and concepts as much as we live amidst all that happens around us. It is a challenge to step back, in order to find a ‘tidal zone’, away from the ocean of pure theory, and away from the firm ground of experience-as-we-normally-experience-it. The term phenomenology is used in particle physics in just such a way. It indicates a form of theorizing that stays close to the experiments. In contrast to pure theory, such as string theory aimed at building a comprehensive theory of the material world from first principles, phenomenology does not try to ground itself in fundamental concepts or axioms. It takes a rudimentary form of theoretical framework, within which it tries to construct rough models of the phenomena under consideration. These models can provide guidance for setting up and for interpreting new types of experiments. At the same time, these models act as beacons to guide and test developments on the level of more fundamental theory. In philosophy, the term phenomenology is used to indicate the approach taken by Husserl and his followers, starting around 1900. Interestingly, in the course of his phenomenological investigations, Husserl developed a method to ‘step back’ from the phenomena as they present themselves in daily life, including the daily life of a scientist in a lab or behind a desk. In what he called the ‘epoche’ (a Greek word for ‘suspense of judgment’), he advocated a radical switch in attitude from the what to the how. Rather than taking the world for granted, while finding our way amidst the many things that populate our world, Husserl invites us to change our focus, in order to investigate how all those things appear. In doing so, he extended William James’ radical empiricism. Through the epoche, all that appears is seen and acknowledged as it appears, in its own structure of appearing. The trick is to refrain from tying down appearance immediately and prematurely to the usual external explanatory framework (of a physical world of objects, in which we possess a body with sense organs and a brain that gives rise to our consciousness that grasps the objects). At first, it may seem to be very strange to ‘put the world on hold,’ to drop any belief in an objective reality as the prior and only ‘real’ form of reality. But there is nothing magic or special in making this shift. It is only the result of the shift that is remarkable, a form of amazement and wonder. In fact, reactions of such a type are the touchstone to check whether a shift really has been made, or whether an attempt to ‘put the world on hold’ has only been an intellectual game. Many poets and novelists have testified to such a shift, a dramatic change in experience, away from a belief in a solid world in which we are anchored, and towards a completely open experience of the world as bottomless. Several philosophers, too, have given us an inkling of their experience along these lines. The problem is that poets tend to give their experiential report without any theory, while philosophers tend to give only their theoretical reflections while glossing over the experiential component that undoubtedly underpins their theoretical moves towards more open interpretations of reality. Husserl himself did give ample indications of the fact that for him the epoche was a way of life; towards the end of his life, in his last book, The Crisis of European Sciences, he described it as a ”complete personal transformation”. While this is an indication of the importance he attached to his shift, the shift itself can be tried out in a surprisingly simple way. Some day, I hope to attend a workshop on science and religion where a few hours are devoted in laboratory mode to collectively explore such a shift of attention and interpretation. In science, we filter what we see around us. We retain what can be measured and quantified objectively, and we leave out aspects of reality such as beauty and meaning, which do not pass through the scientific filter. The implicit hope felt by many scientists is that ultimately nothing is lost in the process. By initially reducing all of reality to an interplay of atoms and molecules, or further down to an interplay of waves in quantum field theory, or perhaps even as an interplay of strings and branes, we might hope to get closer to how reality really is. All the rest then follows from the complexity emerging in the process of building up, from waves to atoms to cells to brains to the human experience that seems to be correlated to our bodies and especially to our brains. Can reality be understood exhaustively through this approach of building up insight from the (material) bottom up? At present, this is a completely open question. Science forms one of the youngest ways of knowing in human history. While surprisingly effective and productive in its first four centuries, nobody knows how far the scientific way of knowing can be stretched. When we succeed to draw up a complete wiring diagram of a human brain, together with a detailed functional understanding of how the brain works, will we then understand human experience? It is impossible to say, given that we have just made the first baby steps in this enterprise of mapping and analyzing. Some argue, by extrapolation, that our reductionistic methods will soon ‘explain’ consciousness. Others argue that such third-person descriptions will never cross the gap that separates them from first-person subjective experience. I expect that neither position will turn out to be correct. In principle, I see no reason that science in its future growth will reach fundamental limits. To the dismay of those historians and philosophers of science who try to show ‘what science is’ and how it got there, it is notoriously difficult to pin down science. Science is what scientists do. And scientists are out to solve problems, in whatever way seems to work. 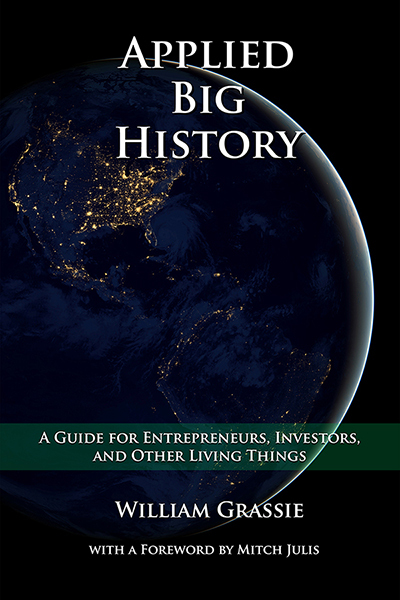 Like entrepreneurs in business, scientists are extremely opportunistic. Nothing is too sacred for them to be tossed, if there are convincing reasons to do so. Perhaps the most dramatic example occurred seventy-five years ago, with the invention of quantum mechanics. Reluctantly but decisively, strict repeatability of experiments was dropped. What had been one of the corner stones of classical mechanics, the notion that two experiments, carried out under the exact same conditions, would give the exact same outcome, turned out to be incorrect. Instead, nature seemed to show an intrinsic spontaneity undreamt of by previous generations of physicists. This opportunistic attitude of scientists is their strength. While their views may come across as arrogant and dogmatic, as a result of frequent overconfidence of individual scientists, collectively science has a built-in mechanism for change. Peer review forms the system of checks and balances that allows for a trade-off between radical and conservative sides of science. Scientists are extremely radical when it comes to dreaming up new hypotheses, and at the same time they are extremely critical when it comes to testing those hypotheses. In this system, what may look like dogma at any given time is really only a network of working hypotheses, in which each strand is amenable to revision. Coming back to the question, are there limits to scientific knowledge, I expect the answer to be no. But at the same time, I expect future forms of science to be almost unrecognizable from a present-day vantage point. In particular, I anticipate science five hundred or a thousand years from now to have dropped the reductionistic assumptions that are still largely operational. Already, quantum mechanics has shown us that a purely objective ontology of the world is far more problematic that classical mechanics assumed. How a subject, human or machine, measures an object determines in a fundamental way what the outcome can be. Reality seems to reside as an unformed mixture of actuality and potentiality, until a measurement forces a momentary semblance of actuality to appear. Shocking as this would be for a nineteenth- century physicist, who knows what further developments lie in wait, in the next thousand years? As a specific guess, I anticipate that first-person felt experience and third-person description will both become part of an extended form of scientific method, in a framework that will transcend the current dichotomy. After all, the whole history of the physical sciences is a story of transcending dichotomies. Going beyond electricity and magnetism to electromagnetism in the nineteenth century was a great step, but not as radical as the steps taken in the twentieth century. In relativity theory, going beyond space and time led to the notion of spacetime, where different observers can decompose the same spacetime into different mixtures of space and time, with black holes as an extreme case where space can take on a time-like character. And in quantum mechanics, going beyond being to a description in terms of becoming was even more radical a shift. I wish I could have a glimpse of a preview of the next few radical steps in transcendence in science; that they will occur seems almost certain; what they will be is the question. In contrast to the various disciplines of science that are currently accepted and taught world wide, there is much less agreement and universal acceptance among religions. Even the term religion is highly problematic. It reflects a category in Western thinking that does not allow a good fit for many aspects of, say, Hinduism, Buddhism, Daoism, or many indigenous forms of shamanism. Whether Buddhism, for example, is considered to be mainly a form of religion, or philosophy, or psychology, is a matter of debate. Different answers emerge depending on which aspect of Buddhism one considers, in its 2500-year history and its various adaptations and revisions in completely different cultures. 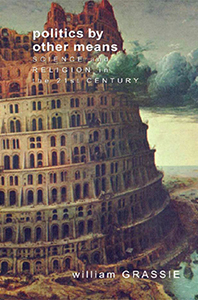 I have chosen the word religion in the title of my talk mainly because ‘science and religion’ is a recognizable handle. Perhaps ‘building up and opening up as ways of knowing’ would have been more accurate, reflecting the opposing directionality of the two methodologies. 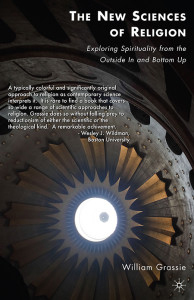 Whereas science presents a bottom-up approach, there is a top-down approach visible at the well-spring of every major religion, in the widest sense of the term religion. And beyond what we normally call religion, this top-down approach can be recognized elsewhere as well. 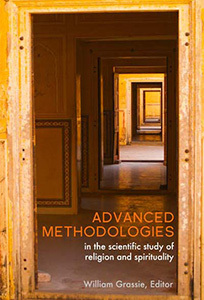 Even amidst what may seem to be the most rational of methodologies, we may encounter the opposing current. Just to mention two European examples: both Socrates and Spinoza combined a love for reason with a love for ‘opening up’. Most accounts of Socrates’ adhortation to lead an examined life gloss over the fact that he sometimes was lost in what seemed like a contemplative trance for hours at a time. 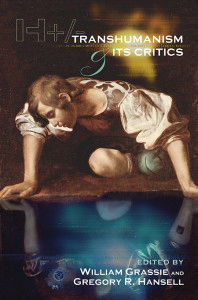 For Spinoza, too, it is obvious that he was driven by a connection with something beyond the ordinary world of transient phenomena. His way of talking about reality ‘sub specie aeternitatis’, in the light of eternity (literally the aspect of eternity), conveys the impression of someone who has found a deep form of peace by opening up to what struck him as a timeless realm. Distinctions between secular and sacred ways of knowing may be important when assessing sociological, political and historical aspects of religions and other forms of belief and exploration. And in a dialogue between science and religion, such aspects are important topics to be discussed: ignoring the political and sociological dimensions of either science or religion would present a distorted view of the role they play in modern society. At the same time, there should be room in such a dialogue for a comparison between the personal ways of knowing that underly both science and religion. What I hope will happen in future dialogues is what I like to call a ‘roots not fruits’ approach. It is certainly interesting to compare the conclusions from sciences and religions. For example, we can take the big bang theory of the origin and early evolution of the Universe, and compare that with the creation myths in various religions. However, it would be a pity if such comparisons would be limited to the fruits of science and religion. It is at least as interesting to compare the roots of both approaches. Before asking questions such as ‘what have science and religion in common’ or ‘are their ways of knowing mutually incompatible’, we may want to ask the prior questions ‘what is the scientific way of knowing’ and ‘what is the religious way of knowing’. We often assume to know what science is and what religion is, but do we, really, to the extent needed for a real dialogue? — the top-down way of knowing present in the core of many forms of religious experience, as well as in other whole-hearted engagements with reality that may not be labeled as religious. Another way to characterize these three approaches is to describe how the world appears to us when we apply them. When viewing the world in a bottom-up way, everything is seen to be made up out of an intricate interplay of matter and energy. When viewing the world in a phenomenological way, everything is seen as a play of various forms of experience. And when opening oneself for a top-down way of letting the world appear, everything is seen in terms of Being, as a play of Being with Itself. For me, it is a totally open question which of these three ways of knowing is the more fundamental one, or even what it would mean for one to be more fundamental. I can see arguments for any one choice, as well as for a no-choice option, in which none of the three is given pride of first place. I certainly understand the appeal behind a ‘building-up’ approach, the challenge to become God-like in our full understanding of Nature, or at least as close as we can come to such an understanding, on a fundamental level. I equally appreciate the wish for purity that has driven Husserl and others like him throughout history to adopt a radically empirical stance, to come as close as possible to accepting all that appears and only what appears. And finally, I have a deep appreciation for the ‘top-down’ approach, which for me is as much a way of life as a way of knowing. The last few years have seen a ground swell of interest in the topic of science and religion. I am delighted and excited to be alive in this period of time, in which we will undoubtedly see a thousand flowers bloom across the vast terrain that we are now entering. Let me just mention here a little flower that I have been cultivating with a group of colleagues, the Kira Institute, <http://www.kira.org>, which has been organizing annual summer schools for graduate students in the sciences and related areas. How all these different flowers will bloom, and how they will affect future visions and activities of humanity, is impossible to predict. For now, let us just try to be respectful enough, to recognize where all these new developments will want to lead. Piet Hut is Professor in the School of Natural Sciences at the Institute for Advanced Study in Princeton. While his main research area is theoretical astrophysics, he frequently collaborates with colleagues in other areas, from geology, paleontology and cognitive science to particle physics and computer science. He is involved in the project of building GRAPEs, the world’s fastest special-purpose computers, specialized for stellar dynamics, at Tokyo University. As a research associate at the American Museum of Natural History, he is using the newly renovated Hayden Planetarium for interactive simulations of star cluster evolution. His graduate text book ‘The Gravitational Milllion Body Problem,’ co-authored with Douglas Heggie, will soon be published by Cambridge University Press. Hut is a founding member of the Kira Institute, which held it third summer school, on ‘Ways of Knowing’, <http://www.kira.org>. Some of his interdisciplinary activities are: co-organizing a conference on ‘Fundamental Sources of Unpredictability’ at the Santa Fe Institute; participating in the Sixth Mind and Life Conference, a five-day dialogue between five physicists and the Dalai Lama; participating as a fellow at the World Economic Forum in Davos; and organizing a series of lunch meetings at the Center for the Study of Science and Religion at Columbia University. Piet Hut begins with a personal and poetic story and goes on to a philosophical discussion of science and religion as different ways of knowing. He presents bottom-up (science), top-down (religion), and uncensored experience (phenomenology) as three different ways of knowing.